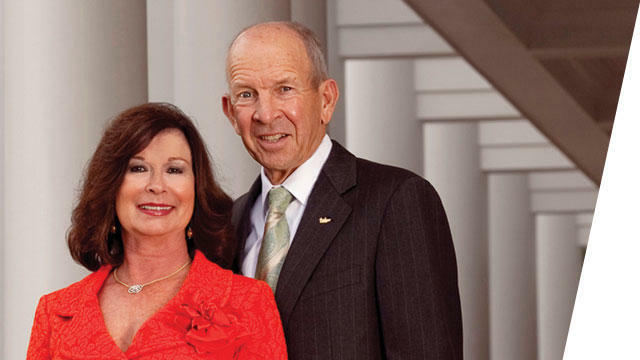 Pam and Les Muma are donating $25 million to the USF College of Business, the largest single gift in USF history. The gift brings the total they've donated to USF to $41 million. Les and Pam Muma talk exclusively with WUSF's Mark Schreiner about their record $25 million dollar donation to the newly named "USF Muma College of Business." In their only broadcast interview before the donation was formally announced Friday morning, the Mumas shared with WUSF's Mark Schreiner their reasons for the record donation to the school they were attending when they first started dating more than fifty years ago. "USF, the Business School, was what Pam and I built our foundation for our future lives together," Les said. "And that's what made my career a success, we believe, and that's what's given us the ability to do the other things that we've done in life." 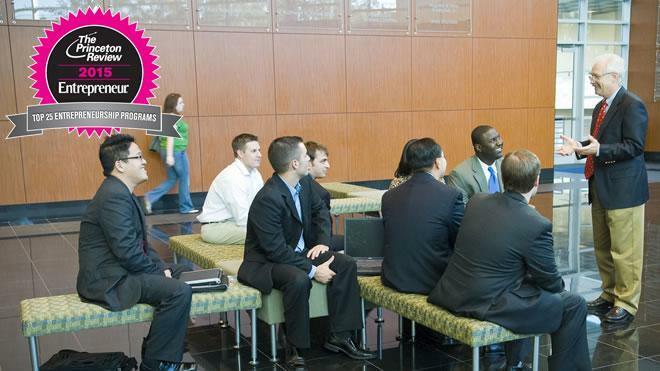 As a result of the gift, the school will now be known as the USF Muma College of Business. But Les, 70, who graduated from USF with a degree in business in 1966, says the donation won't go to a new building - it will fund the school's programs. "We weren't interested in having a building with our name on it, we were interested in having a great business school," Les said. "And what that great business school will do is give thousands of USF Business School graduates the foundation to become successful and hopefully come back and give back to their university eventually." Pam Muma, 68, added that funding the education of business students, particularly those from the Tampa Bay area, is important to them. Since the early 1990s, the pair have funded full scholarships, including tuition, room and board, for four USF Business students each year who graduated from the Mumas' high school alma mater, Winter Haven High School. "It's a joy to watch them and how they've grown - they've grown through the school, they've grown in their careers now, we're actually attending one of our student's wedding in three weeks," Pam said. "Hopefully we can instill into them that need and that desire to give back to their community." The gift will also establish the Muma Leadership program. USF Muma College of Business Dean Moez Limayem says that professional development track will help students progress towards a career from the day they start at the school. 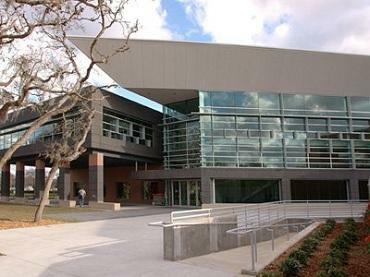 The college will track student participation and offer incentives for outstanding performance. Les Muma started his career in data processing while still attending USF, majoring in theoretical mathematics. He took internships with Southern Bell and International Mineral and Chemical before taking a job in the information technology department at IMC. Eventually, he co-founded Fiserv Inc., which grew from a small company with one location and a handful of employees to a Fortune 500 company with around 21,000 employees who provide technology products and services to more than 17,000 financial institution clients around the world. With the donation, the Mumas have now given approximately $41.2 million to USF, making them the largest individual donors in school history. Other gifts from the couple include a $6 million donation (matching gifts pushed the amount to $14 million) that established the Jennifer Leigh Muma Neonatal Intensive Care Unit at Tampa General Hospital in 2006. The NICU is named after their daughter, Jennifer, who died in a neonatal nursery in 1973. 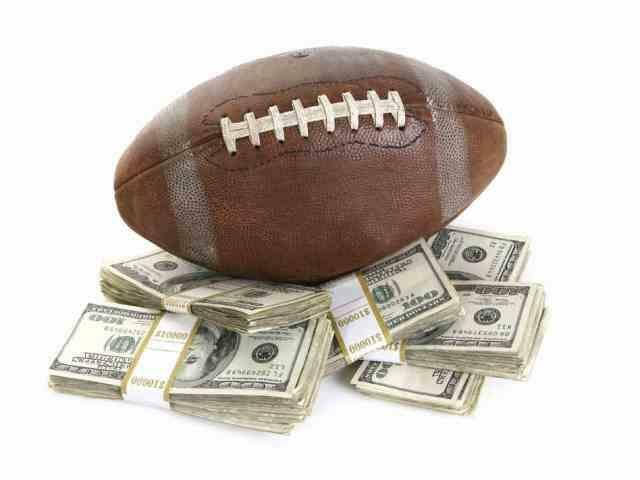 They also donated a $3 million gift in 2008 for a practice facility for the USF men's and women's basketball teams. This is the second business school in the USF System to change names in a little over a month. In early September, USF St. Petersburg officials announced they were renaming the College of Business there after Kate Tiedemann, a Pinellas County entrepreneur who donated $10 million to the school. That's the largest single gift in USF Saint Pete's almost 50-year history. Originally published at 10:06 a.m., Friday, October 10th. The University of South Florida's efforts to give students the skills they need to start their own businesses continue to gain attention, with both the College of Business and a nonprofit started by a graduate in his dorm room receiving separate national honors this week. First, the Princeton Review ranked USF's graduate program 13th among the nation's best entrepreneurship education programs. The University of South Florida College of Business is adding to its Masters in Business Administration (MBA) and Executive MBA programs with a degree that focuses on a combination of researching business practices and putting them into use - the Doctor of Business Administration (DBA). While DBA degrees are popular in Europe, they are gaining traction in the United States. Speaking to WUSF's University Beat, program director Grandon Gill said it's actually a return to the way things once were. "It (the DBA) was the original degree for business professors - before (they) started getting PhDs, they got DBAs. But it's a multi-disciplinary degree that tends to span across all the functions instead of being highly specialized," Gill said. 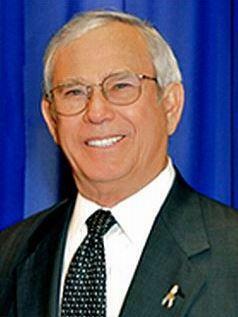 Many people know Earl Lennard as Hillsborough County's Supervisor of Elections, a job he retired from in 2012. But before that, he spent more than four decades with Hillsborough County Public Schools as a teacher, and eventually as superintendent. Lennard is being presented with a Distinguished Alumni Award from the University of South Florida's College of Education on Friday. 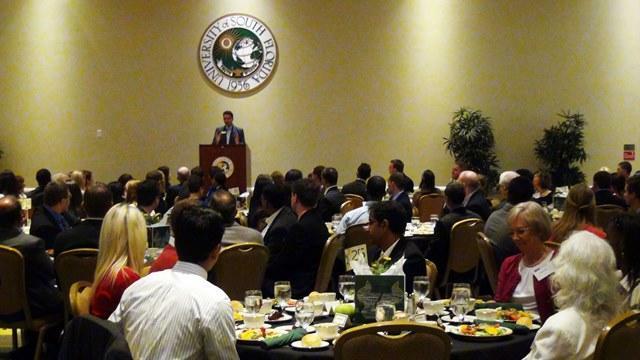 This week's University Beat takes us to the recent USF College of Business Scholarship Luncheon, where the recipients of 190 scholarships were honored. The scholarships come from a range of donors: families honoring deceased college alumni and faculty, USF graduates looking to "pay it forward," and local corporations and service organizations looking to assist the next generation of Bay area business leaders. Some honor 'first generation' scholars -- students who are the first in their families to go to college. Others honor participants in college activities like the Corporate Mentor Program, where students receive advice through both workshops and an adviser who works for a Bay area corporation. One, the John J. Saunders Memorial Fellowship, named for the late owner of the Saunders Advisory Group, a Tampa-based financial services provider, even comes with a reserved parking space! 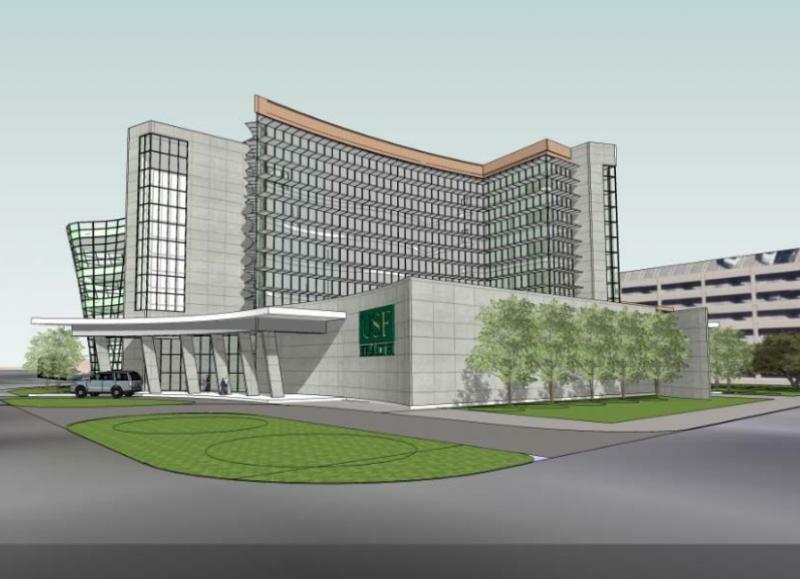 If the University of South Florida wants more state money to build a new medical school, they first need to decide where they want to build it. That was the caveat laid down by the Florida Board of Governors' faculty committee at a meeting in Jupiter Wednesday.